Is there no sympathy for the Devil? Misunderstood and vilified by the world's major religions, Satan has decided to strike back at his accusers. In his own words, Satan makes the case that he is only carrying out God's commands and that he is unjustly blamed for the woes of the world. 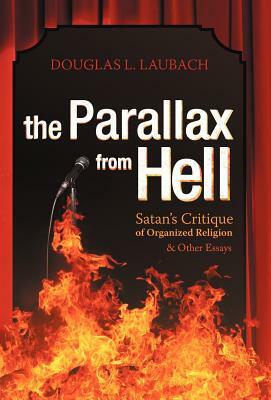 Simultaneously controversial and entertaining, "The Parallax from Hell" delivers a new perspective of religious doctrine from the point of view of God's fallen angel, Satan. Aided by his unwitting accomplice, Satan examines the tenants of the major organized religions, giving first a generic summary of their respective beliefs and then following up with his own very different slant. To take care of the credibility problem, he even footnotes his sources for skeptics. Tongue in cheek at times, Satan makes his case and then enlists his minions in Hell to contribute short essays and commentary. The result is a comprehensive analysis that covers not only religion, but history, theology, science, and philosophy. Wry and engaging, Satan's observations challenge you to think critically about your religiously held assumptions as well as the beliefs of other organized religions. Definitely not your ordinary theological critique, "The Parallax from Hell" seeks to serve as an unorthodox vehicle for opening hearts and minds.